"Caring for Children 6 months to 12 years"
Cincinnati's West Side community of Price Hill has a unique offering that is a true treasure for those who have discovered it. The Salvation Army Learning Center is housed in the West Side Corps of The Salvation Army, offering a unique educational opportunity to families in the Price Hill and surrounding community. The Learning Center is now accepting applications for enrollment. For more information, contact Todd Levering @ 513-251-1451. First, an infant, toddler and pre-school program operates year-round, from 6:15 a.m. to 6:00 p.m., daily, Monday - Friday. To foster the parent-child-teacher relationship as a building tool to enhance each participant-child's learning experience. The long-term negative impact of children entering kindergarten insufficiently prepared to learn and succeed in school. 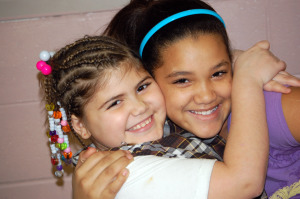 The Salvation Army Learning Center offers a caring, nurturing environment, where children can be safe, play, and learn. In addition to the educational and recreational aspects of the programs offered, snacks and meals are provided to address the reality of hunger present among many of the families served by the Center. To learn more about the Center and its programs, as well as to inquire about available openings for infant and grade-school-age children, please contact the Center's director, Todd Levering, at 513-251-1451.